A judge has ruled that former G.O.O.D muusic artiste, Kid Cudi needs to stay away from his baby mama and their daughter, Vada. HipHop DX reports Cudi allegedly sent 168 text messages to his baby mama, Jacqueline Munyasya, threatening to call child services on her. According to Jacqueline his words have caused her to fear for her life and that his negative social media posts about her have caused threats of violence. She claims he threatened to create a #JusticeforVada campaign, demanding custody of their daughter, that he would spread throughout social media and create T-shirts for. The judge has ordered for the 'Speedin’ Bullet 2 Heaven' artist to stay away from Munyasya and the child. Cudi is also not allowed to call, text or email his baby mama. He also may not use a third party communication to reach her. The order of protection will come to effect through August 18, 2017. 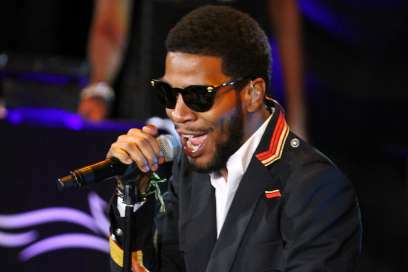 We also learnt that Cudi is reportedly not present in his daughter’s life even though he demands to see her. Jacqueline claims he doesn't visit them even when he comes to Chicago, where the mother and the child live. Their drama has lasted for years after Munyasya first took Cudi to court back in 2010, which ignited a custody battle. She ended up winning primary physical custody.